There are actually two kinds—physical (scrubbing) and chemical (peeling). Both methods remove dead cells to reveal new skin. 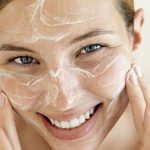 When it comes to your complexion, chemical exfoliation, which you’d do by using a lotion or a peel containing acids, is a great way to brighten your face and make yourself look younger. Meanwhile, areas that have thicker skin, like your knees and elbows, can benefit from the use of something little rougher, like a scrub or loofah. Glycolic and lactic acid (alpha hydroxy acids, or AHAs) are powerful exfoliators, says David Bank, M.D., a New York dermatologist and the author of Beautiful Skin: Every Woman’s Guide to Looking Her Best at Any Age. You can find glycolic and lactic acids in moisturizers that are gentle enough for daily use or at higher strengths in masks or in-office peels. 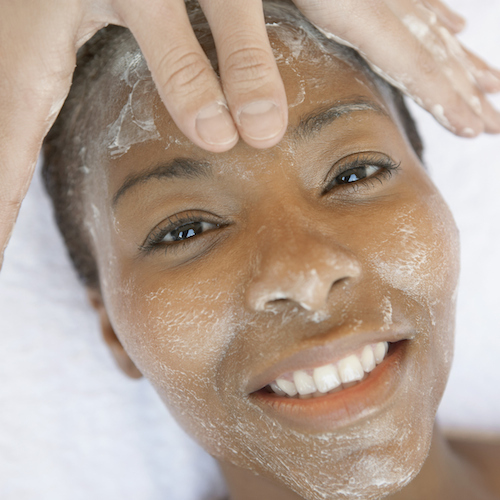 Salicylic acid (a.k.a beta hydroxy acid) is another popular exfoliating ingredient. It’s most commonly used to help treat acne and can be found in cleansers, moisturizers, and pimple spot treatments. 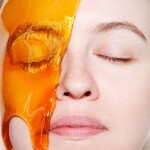 For sensitive complexions, opt for an enzyme-based mask instead, like Jan Marini Skin Zyme Mask ($38, lovelyskin.com) because enzymes are gentler than AHAs, says Marina Peredo, M.D., a dermatologist in Smithtown, New York. If you live somewhere that gets icy-cold in the winter, it’s best to exfoliate your face only once or twice a week that time of year, says Peredo. “Skin tends to be drier and more dehydrated during the winter, so logically, one would assume that the best way to get rid of the dry skin is to exfoliate,” she says. “The problem is that exfoliating can lead to being even drier.” In the summer, however, you might be able to exfoliate anywhere from twice a week to everyday, depending on what kind of skin you have and what type of product you’re using, says Bank. When it comes to your pucker, the gentler the better. “Where your lips are concerned, I would probably [exfoliate] with a cleanser as the delivery system,” says Bank, who suggests washing your face with 0.5 to 2 percent salicylic acid cleanser and washing the product over your lips. To keep the flakiness at bay, follow up with a balm like the Shea butter-rich Softlips Cube ($4, walgreens.com). You’ll most likely have to apply multiple times a day. You know those pink bumps on the back of your arms? They’re called keratosis pilaris, or “chicken skin”—and although there’s no way to get rid of the bumps for good (trust us, we’ve tried! 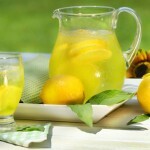 ), using an exfoliating lotion may make your arms feel somewhat smoother. 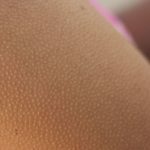 “Keratosis pilaris is probably the easiest thing in dermatology to diagnose and the toughest thing to treat,” says Bank, explaining that when it comes to KP, the cells that line the hair follicles come to the surface and don’t shed. “The description sounds like acne, but the problem is that it’s against a backdrop of dry, sensitive skin, rather than oily [skin],” says Bank, “so you need to be careful and you can’t be too aggressive.” He says your derm can prescribe you a 15 percent glycolic acid lotion (the highest concentration available), adding that some patients have found success by using the lotion in conjunction with a salicylic acid body wash or manual exfoliation with a loofah in the shower. “Where the skin is a little bit thicker, you might consider more of a mechanical exfoliation as opposed to a chemical one, whether it’s loofahs or a scrub containing something like nuts,” says Bank. “[And] as always, a little product is good—more is not necessarily better.” After exfoliating in the shower, pat yourself off with a towel (you don’t want to be completely dry) and apply a moisturizer to trap and seal the water from the shower into your skin, advises Bank. 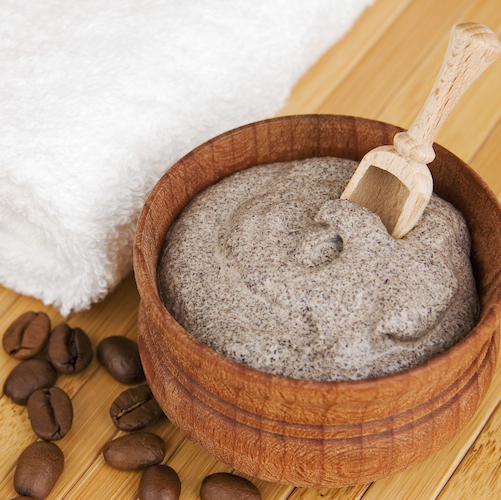 Raid your pantry to whip up some mild exfoliating scrubs. “You can mix sugar and honey to gently exfoliate sensitive skin,” says Peredo, while Bank explains that coffee grinds can be mildly exfoliating, too. You can also crush up aspirin (which contains salicylic acid) to make your own exfoliator.